Why bother cook when you can buy so much prepared food? Lesson 15. How long does it take to cook? Spice base: What's your "base"? Black gram: Rice lentil nuggets. Your vegan chicken nuggets. Black gram: Whole black gram fritters. Your vegan sausage. Chick Pea Flour Veggie Fritters. This is your steak. <--- We've loaded most of our lessons in the column to the left under Cooking Lessons. So please enjoy those free lessons. We just have a few more lessons to add to the site. If you'd like to join the class in a college management system, sign up below. The Spring 2019 class is underway now. You can still join. 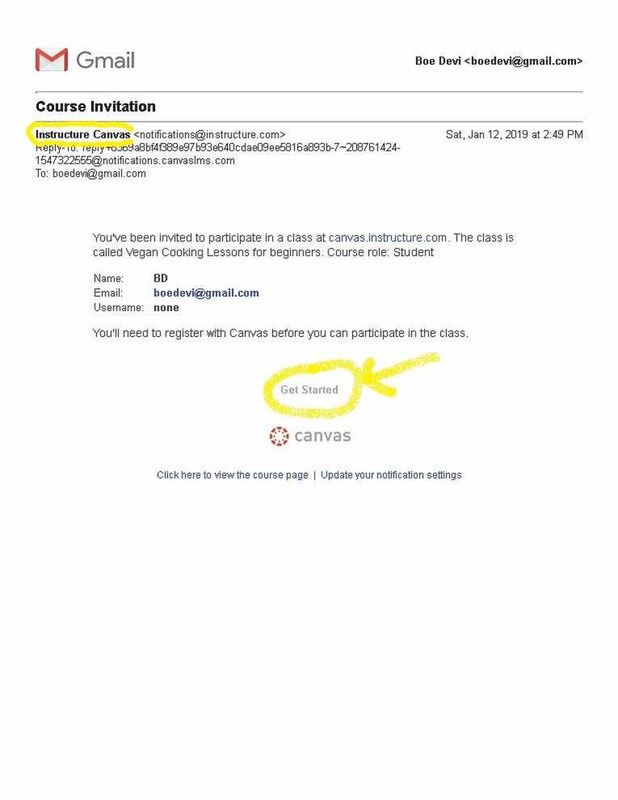 Once you sign up in the form below, you'll receive a Course Invitation email from Instructure Canvas. (Check you Spam folder if you don't see it or write to us again.) The email from Instructure Canvas looks like the one below on this page. Activate your course by clicking on the Get Started button in the email. P.S. We're still working on moving the full course to the web. Don't mind the website. It's under construction. We're working on it.